Think of Newton for a moment sitting under the apple tree and everything else that follows. Ever since our thought processes began to result in inventions, creativity has been playing a major role. What started off with laws of gravity, gave us some super cool things we can’t live without. While all the credit goes to the apple for falling down on Newton’s head, there’s more to the connection between foods and brain power. Whether a writer, an artist or a student, creativity is much needed at every age and every profession. Here’s a list of 7 foods to consume to boost your brain power and creativity. Omega 3, fatty acids are the most powerful source of energy around here for improved brain power. They help in building the brain circuits through which the messages around the body are transmitted. Fish like Salmon and Mackerel found in cold water are rich in these supercool nutrients you need. 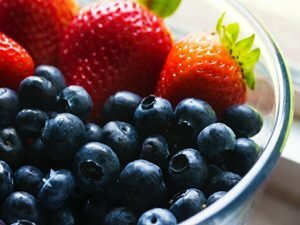 It isn’t enough to paint a bowl of berries or shoot the perfect frame of a berry plant. You need to eat them to get the creativity activated. Just as pretty as they look, berries are delicious and rich in nutrients that strengthen the immune system. Blueberries are found with high antioxidants that fight with free radical cells that make you lose balance. Also, raspberries improve the hemoglobin and a mix of all kinds of berries helps to maintain a more profound communication in between the brain and the rest of the body. Next time, when your hands are unable to follow the pace of your mind, eat berries. Your brain needs a constant flow of blood and glucose to think creatively. 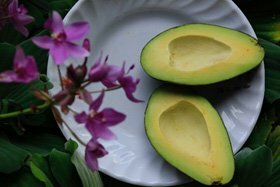 Avocados are green and rich in nutrients that enhance the flow of blood in your brain and deliver just the right amount of oxygen you need to motivate your brain cells. This beneficial fruit is a complete source of vitamins for your skin, hair, and brain alike. Sure you did see this coming, didn’t you? Green Tea is known for reducing stress levels and calming you down also boosts your brain power. 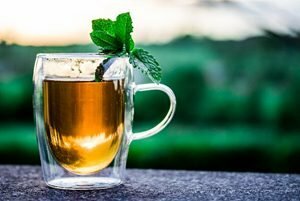 It has theanine that improves cognitive thinking, however, it doesn’t have as much caffeine as your cup of coffee but enough to keep you awake. Green tea also effectively slows down the process of losing brain power with age. Now we’re talking! 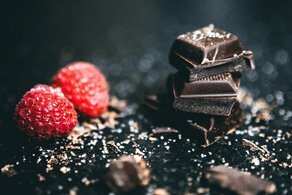 Know why chocolate makes you happy so much? Because dark chocolates have the perfect amount of magnesium and caffeine that releases serotonin. Hence, gleaming, creative you! This food coming right down from heaven is rich in Flavanols – a nutrient that increases the flow of blood to your brain. Yes, you read that right. Your favorite munchies can prove to be good for your brains. 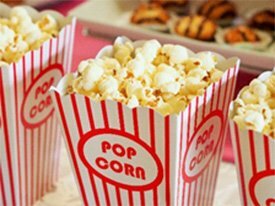 Popcorn has whole grains that help in keeping you mentally alert for longer hours. Maybe that’s why they put these in cinema halls. It regulates glucose flow and has vitamins like B6 and B12 – essential to boost your concentration and short-term memory. 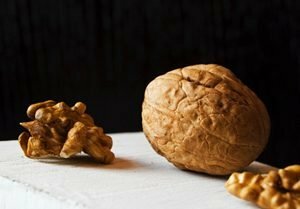 Walnuts make the whole “looks are deceiving” go wrong. Look at it, it’s the artistic version of the brain inside our heads. Well, it doesn’t only look like it’s made for your brain, it actually works wonders as well. Walnuts are rich in Omega3, melatonin, and antioxidants that prevent your brain from having strokes and breakdowns. While they won’t be boosting your mood, they’d definitely help in improving your brain’s cognitive and inferential reasoning power. Our brain is the sole controller and needs oxygen and nutrients in the right amount to keep doing its job perfectly. On the other side, some elements in your favorite snacks can activate creative hormones released in your body, therefore, it isn’t always necessary to follow a strict diet to stay healthy. Eating your favorite junkies, chocolate cookies, brownies or a bowl of popcorn will lift your mood and enhance your brain’s process of innovative thinking. 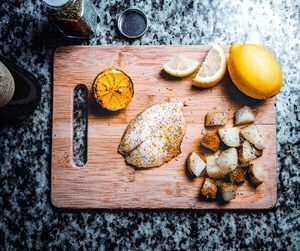 So there you have 7 foods that boost your creativity to the next level. While the list goes on, stay connected for more related articles and make healthy eating a way of life.